In 2019 has been produced vessel Elan Impression 50 called Abena. She is based in port Biograd in region very close to Zadar in Croatia. You can take in up to 12 crew members on the sailboat Abena. Arrangment of berths is 12 (10+2). There are 5 cabins located under she's deck. Abena has 2 WCs. Check more vessels by going to this section: Yacht charter Zadar. In this yacht is installed engine 75. 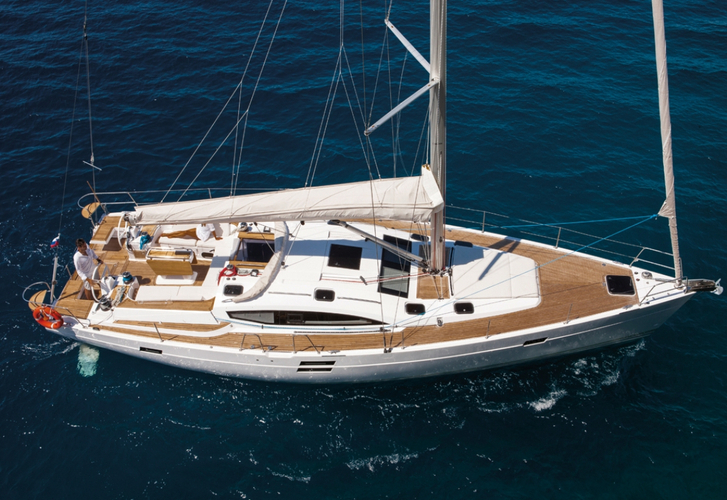 With 15.20 meters of lenght and 4.68 m of width Abena provides enough space for comfortable sailing. Elan Impression 50 Abena is equipped with: Plotter gps in cockpit, Autopilot, CD/MP3/USB player, Bed linen, 2 refrigerators, Teak cockpit, Bimini top, Dinghy, Anchor electric windlass, Bow thruster, Furling mainsail. . Nonrefundable deposit is 2000.00 EUR. Use our search engine to find other boats under this link: Yacht charter Biograd.